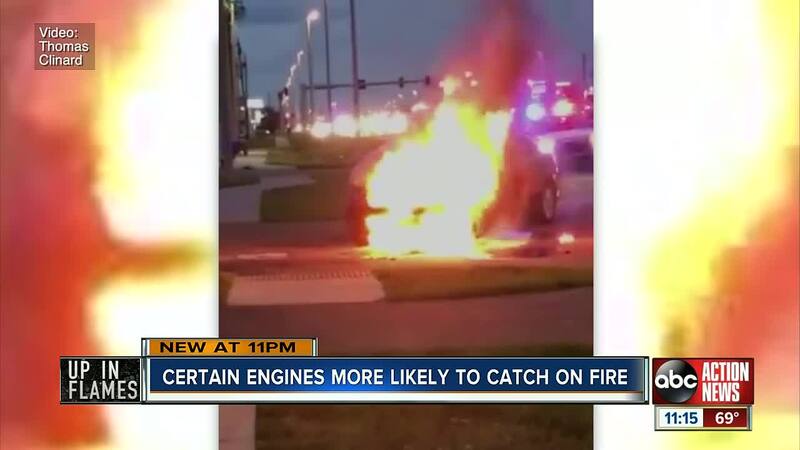 TAMPA, Fla. — An alarming new study found certain engines in Kia and Hyundai vehicles are more likely to catch fire than any other vehicles on the road, according to a report by Scripps affiliate WFTS-TV in Tampa. Those engines are found in 2011 to 2015 Kia Optima, 2011 to 2014 Hyundai Sonatas and 2013 to 2014 Hyundai Santa Fe Sports. The automakers have recalled most of those vehicles since January. Hyundai points out that it started recalling vehicles back in 2015 and again in 2017. The automakers have yet to recall all vehicles running on another potentially hazardous engine – a 2.4-liter model that the institute found is nearly two times more likely to catch fire. The automaker does say however that they have recalled many models that contained the 2.4 liter engine. Fernanda Krueger’s 2016 Kia Sorento is also not on the recall list – even though her SUV with a 2.4-liter engine burned up last April in San Diego. 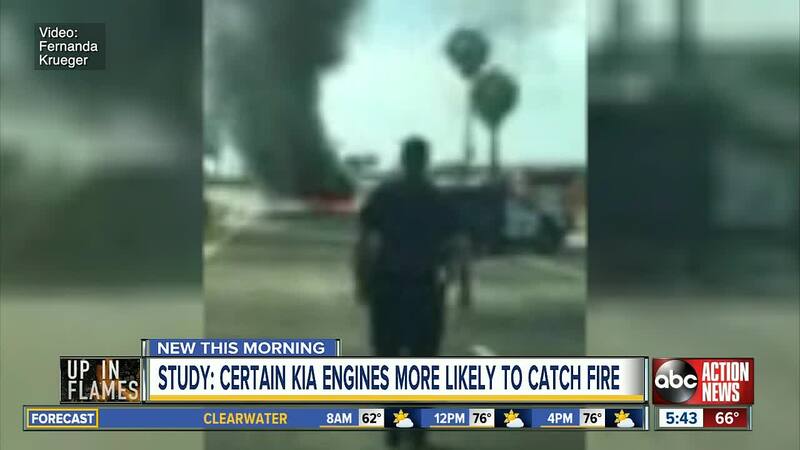 Insurance claim records show more Kia and Hyundai vehicles are catching fire than have been reported to government regulators. The automakers wouldn’t answer questions directly about whether they would expand the recall, but said safety is a top priority.